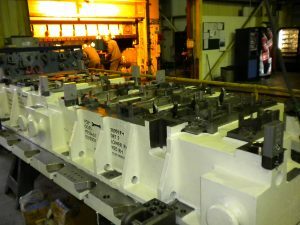 For medium to high volume levels of production, transfer systems are used to transfer the component between tooling on the production line. Transfer tools are most commonly seen in automotive body panels and structural parts. 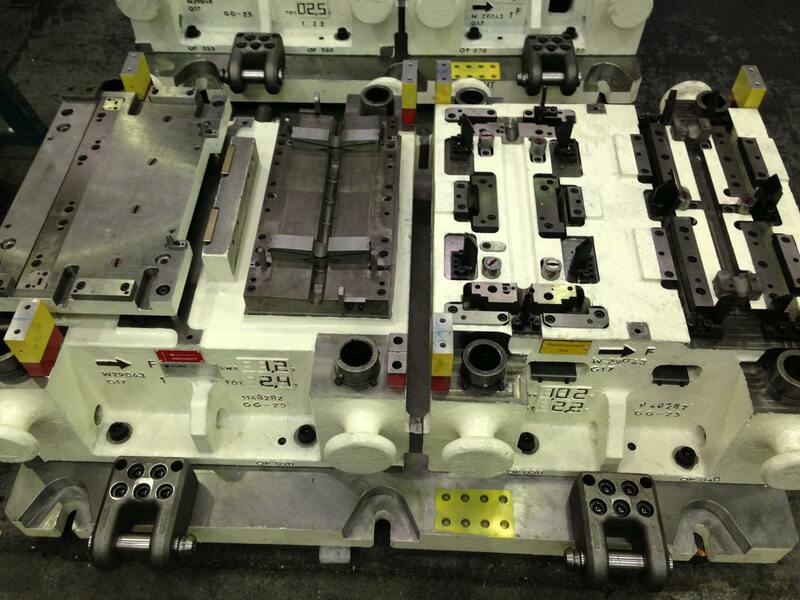 We have experience in the design and manufacture of kits of dies specifically for this purpose. 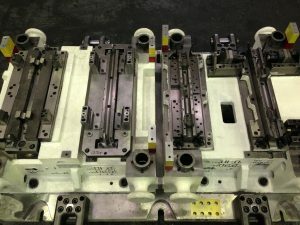 If your part has features like cut-outs, pierced holes, ribs, knurls or threading, you can use transfer die stamping to work these into regular press operations so that you don’t need secondary operations at added cost. Using CNC machines we also have the ability to simulate the transfer system in conjunction with the kit of dies. Here at Cube Precision Engineering we do much more than Transfer Tools. Our vast experience in the automotive, aerospace & defence and commercial sectors allows us to create, design and build a whole range of different types of tooling and fixtures to suit you. Our site in the West Midlands is at the forefront of press tool manufacturing and sub contract machining within the UK manufacturing sector. If you need support with your projects then please contact us.